Elite is a term defined as the choice of best of anything considered collectively. This year, the NCHA Futurity results support High Brow Cat’s continued reputation for serving as the leading cutting horse sire and producing the “elite” class among the open entries. When the curtain drew open in Fort Worth on Nov. 17, more than 600 horses and their riders prepared to make their debut in Will Rogers Coliseum. As the first go concluded, horses sired by High Brow Cat soared past fellow contenders’ records when nearly half of those entered made the second go-round. Following round two, High Brow Cat has delivered the highest advance rate to the Open semi-finals with seven of the 38 entered advancing to the Open semi-finals. That is more than double the rate of any other sires. Topping the aggregate scores of the first and second go-rounds was Sir Long Legs, ridden by Austin Shepard. The pair led Saturday’s first go-round scores with a 222 and came back in the second with a solid 217 to finish No.5 in the composite. 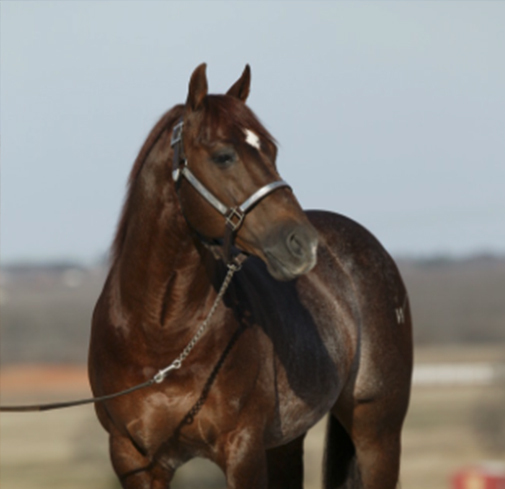 Austin, earner of more than $6.5 million, won the 2006 NCHA Futurity on another High Brow Cat, High Brow CD, and continues to be a strong advocate for High Brow Cat’s breeding program. Sir Long Legs, owned by Lew Hall of Highland City, Fla., is out of Lil Lena Long Legs, the Smart Little Lena mare that earned the NCHA Futurity Open Reserve Championship in 2006 with Shannon Hall. Second on the list of top composites posted by horses sired by High Brow Cat is BFR Call Me Catniss ridden by Spud Sheehan. They cut to a 221 in the first go and a 216 in the second. This mare is owned by Beechfork Ranch and is out of SDP Finely Tuned. Spud also made it back to the semis on BFR Kitty Bank, another High Brow Cat, owned by Beechfork Ranch. They cranked out two clean runs of 216 and 217.5. She is out of Money Talks Smart. Spud is returning from a stellar 2015 NCHA Futurity where he made the Open finals on TWO High Brow Cats – Hellcatt and Cromed Out Cat. Consistent go-round marks of 218.5 and 217 have landed Todd Bimat and Miss Stylish Katz in the Open semi-finals this year. This High Brow Cat mare is out of Miss Stylish Pepto and is owned by Lone Oak Performance Horses of Santa Maria, Calif.
Cattomatic added to the list of High Brow Cats already making headlines in Fort Worth this year when he carried Phil Hanson to the top score of 219.5 on Sunday during the first go. They secured their spot in the semi-finals with a 435.5 Cattomatic is out of Haida Rey and is owned by Kelly and Donna Graham of Weatherford, Texas. Phil, another NCHA Hall of Fame Rider, was the 2014 NCHA Open Futurity Champion aboard Classy CD Cat, also by High Brow Cat. David and Stacie McDavid’s DMAC Bellini Martini will also advance to the Open semi-finals with a 433 composite. This High Brow Cat mare is out of the great mare Miss Martini Play who has produced earners of more than $1 million. She is well-piloted by Clint Allen, earner of more than $4 million and the 2006 NCHA Futurity Open Reserve Champion on Hydrive Cat, also by High Brow Cat. Tate Bennet rode his own High Brow Cat, Geronimos Catillac to also advance. Geronimos Catillac is out of Stars Miss Fancy. Dave Stewart and A Reymarkable Cat conclude the hefty list of Open semi-finalists this year. Out of Short of Reymarkable, A Reymarkable Cat is owned by Roger Turner of Midland, Texas. Colt Ventures would like to wish the very best to these riders, horses and owners in their pursuit of the coveted NCHA Open Championship title. We are proud to be a part of these programs and extend our sincere gratitude for having the best breeders, owners and riders in the business continue to support High Brow Cat.